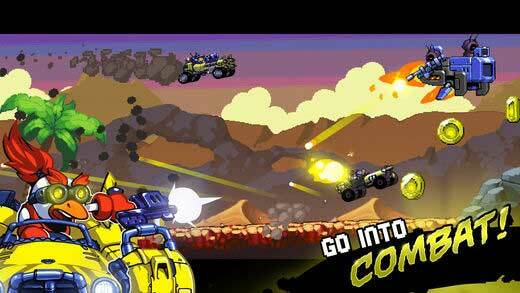 Home #WOW Road Warriors – Race, Shoot, and try not to Explode! 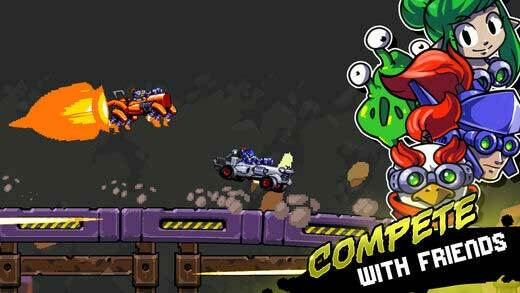 Road Warriors – Race, Shoot, and try not to Explode! You’ve likely heard the term “Chicken Race” used multiple times throughout your life so far… This said chances are you’ve never seen a chicken race quite like the one featured in Road Warriors… A game every action loving racer simply can’t miss! Road Warriors is a game about a genetically modified chicken(?) 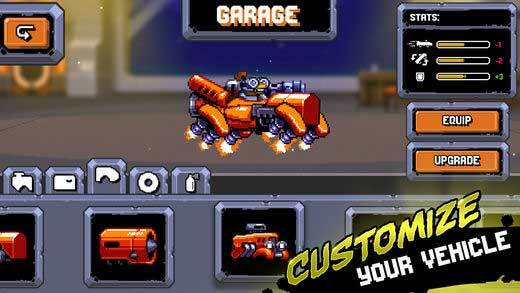 designed to race in what seems to be the craziest intergalactic space race known to mankind! 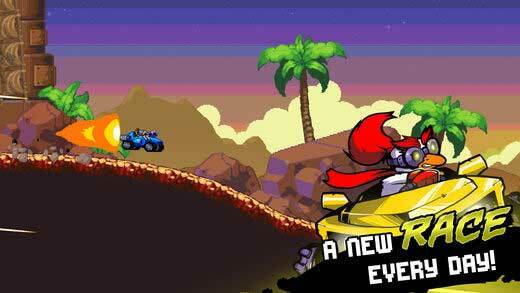 Set on a large scale 2D race course which is re-designed on a daily basis(!) 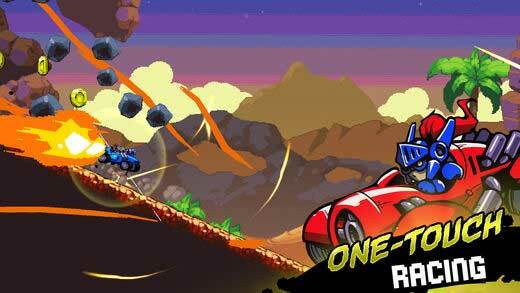 your mission in this game is to modify and pilot your speedy little racer as it boosts over the rough terrain of this deadly race-course. Even so, for players who are actually serious about racing – not simply shooting your opponents – Road Warriors has you covered here as well. With a highly customizable upgrade system that allows players to design their own custom made super cars using the parts collected from the Overwatch style “Loot Boxes” purchasable from the store. If you dislike the realistic feel of mobile racing games that attempt to simulate real life motorsports and would rather play something a little more ridiculous and funny in your free time, chances are Road Warriors is the racing game for you!